This 2010 Yosemite National Park quarter is minted at the United States Mint at Denver and has never been placed into circulation. The third 2010 coin to be issued in the United States Mint America the Beautiful Quarters™ Program is the Yosemite National Park Quarter. It was launched into circulation on 26th July 2010. Probably best known for its waterfalls, Yosemite in California also offers abundant wildlife, amazing scenery, ancient giant sequoias and much, much more. 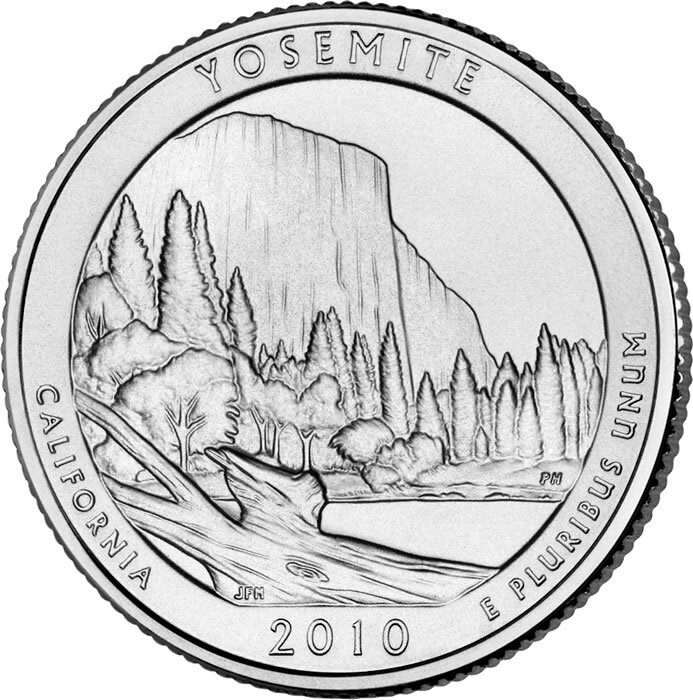 The Yosemite quarter reverse or tails side design depicts El Capitan, which is 3,000 feet at the tallest point and is the largest monolith of granite in the world. 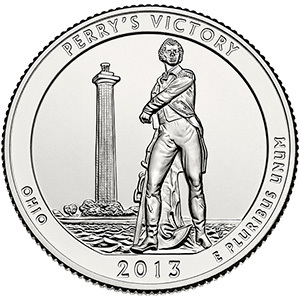 Inscriptions on the quarter-dollar include YOSEMITE, CALIFORNIA, 2010 and E PLURIBUS UNUM. It was designed by Joseph Menna and sculpted by Phebe Hemphill.